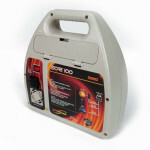 Self Contained 12V 8Ah rechargeable Lead Acid Battery. 100 Watt Modified Sine Wave Power Inverter with 120V AC Outlets. Built-in 12V vehicle charging port. 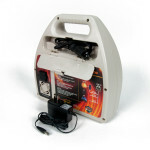 16 – 18 Volt DC input solar panel charging port. 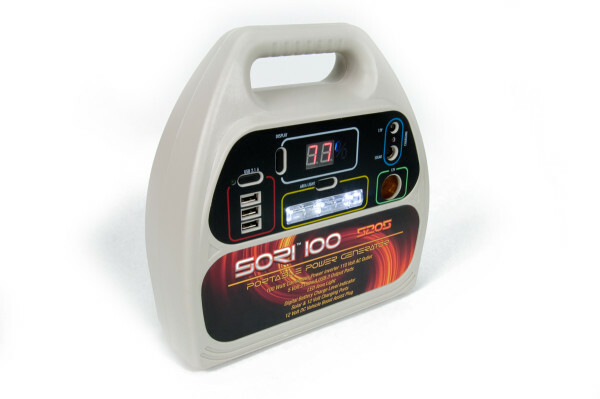 Digital battery charge capacity indicator. 110V AC and 12V DC charger. Master Box gross weight: 21 lbs.